Our next project – renovating the study! You may have noticed that house renovations in our camp have slowed down somewhat. The bulk of the big work was done when we first moved in and we are now in the usual phase of neglecting all the little bits and doing them as we go. The room designated for our study is at the very back of the house and is part of an extension built by the previous owner. Its a fairly small room, but isn’t near a road so is a lovely quiet space. Our back garden isn’t overlooked by any other properties so while its not exactly backing on to lush green forests, its quiet and peaceful and away from traffic noise. We should start with a before picture, so you can see what we were working with. 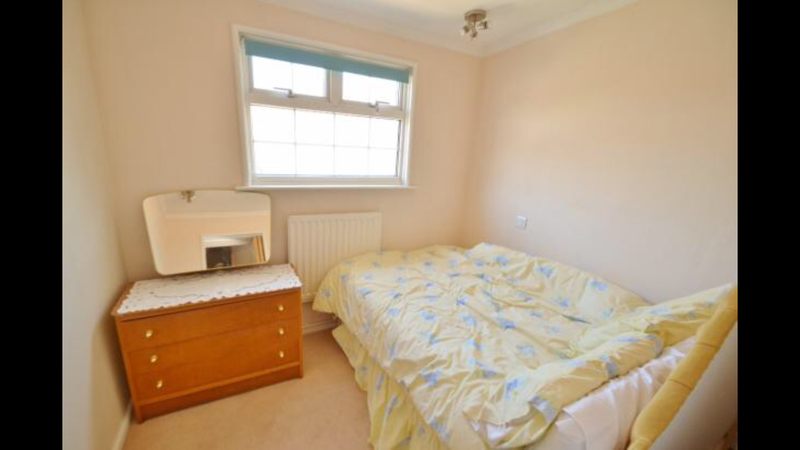 Sorry about the poor quality – I had to take this from the Estate Agent’s pictures! With this room I really wanted to create a space that felt light and airy and that took advantage of the fact that it’s quiet. I wanted to pull in some of those Scandi vibes and have exposed wood, a deep foresty green and lots of plants. The shelves were built by me using an old pallet and some beautiful shelf brackets that I bought from Suffolk Latch Company and the desk was purchased from a seller on Etsy; also made of pallets. Most of the other furniture is from Ikea including the cute little wicker chair. The adorable little plant coaster, which fits in so well with what I wanted for this room, was kindly sent to me by the lovely Amy Harwood. She also sent me a bunch of amazing dinosaur stationary goodies, including the little stegosaurus card and stickers you can see on my desk. All of Amy’s goodies are available in her shop and also through Etsy. The coasters are currently on pre-sale and are just £3 each, or £5 for two. What I really love about this room so far is that there isn’t really a theme or rules for what goes in here. You can see from the pictures that I still haven’t unpacked all of my books from the loft and so there’s loads of space and storage to play with. It means the room can develop and change to suit how we use it! Although it does now mean I don’t have any excuses not to study…! Previous Post Learning Thai cooking at Thaikhun Southampton!